Cash back credit cards do exactly what their name suggests: they refund a small percentage of your purchases either as a credit on your credit card statement or as cash in your bank account. Each cash back credit card available in Canada lets you earn certain percentages back for different types of purchases, so the right card for you should match your particular spending profile. For example, if you commute hundreds of kilometers per week and spend thousands on gas every year, a cash back credit card that offers a high percentage of cash back on gas would be a great way to optimize your savings. Cash back credit cards can be very lucrative, earning you hundreds in cash back per year, but you have to choose one that matches your purchasing habits. We’ve made a list of the best cash back credit cards in Canada for 2019. 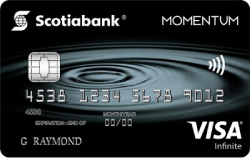 The Scotia Momentum Visa Infinite is one of the best cash back cards available in Canada for 2019. This card offers 4% cash back at gas stations and grocery stores, 2% cash back at pharmacies and for utility bills and 1% cash back on all other purchases. The Scotia Momentum Visa Infinite has an annual fee of $99 that is waived in the first year. The purchase interest rate on this credit card is 19.99%, and you must earn $60,000 per year individually or $100,000 per year as a family to qualify for this card. When you sign up for this credit card, you’ll earn an incredible 10% cash back on everyday purchases for the first three months, up to a total value of $200. If you factor in the waived annual fee in the first year, you’ll earn $299 in bonuses in your first three months alone. 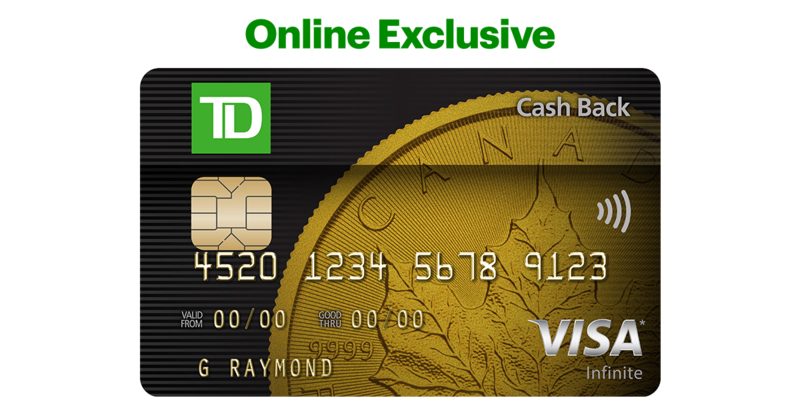 No other cash back credit card in Canada offers such an enticing welcome offer. This premium credit card is backed with additional perks, including 24/7 complimentary concierge service, as well as access to the VISA Infinite Luxury Hotel Collection and the VISA Infinite Dining Series. This card also provides comprehensive insurance coverage including travel medical and accident insurance, trip interruption insurance, baggage loss and delay insurance, and car rental collision loss/damage waiver insurance. The only credit card on this list issued by a credit union, the Meridian Visa Infinite Cash Back offers 4% savings on gas and groceries, 2% on pharmacies and bills, and 1% on all other purchases (similar to the aforementioned Scotia Momentum Visa Infinite). Plus, the card’s $99 annual fee is waived for the first year. Unlike many other credit cards that reimburse your cash back savings once a year, the Meridian Visa Infinite Cash Back is more flexible and offers “cash back points” on a monthly basis (redemption minimum is $50). This card also features some of the best travel insurance benefits of any cash back credit card on the market, with coverage for seniors up to 75 years old and mobile device insurance that covers upwards of $1,000 in damages to your smartphone or tablet device provided the purchase is made with your Meridian card. 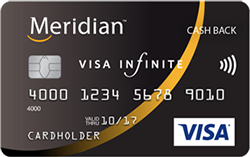 Cardholders of the Meridian Visa Infinite Cash Back have access to Visa Infinite Concierge Services and travel medical coverage of $5,000,000 for people up to 75 years old, travel accident insurance, baggage loss and delay coverage, and rental car loss/collision coverage for a whopping 48 consecutive days. 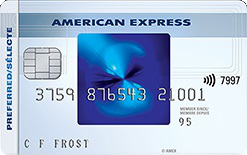 With the SimplyCash Preferred Card from American Express, you’ll get a flat 2% cash back on all purchases with no maximum to how much you can earn. So if you’re looking for simplicity and don’t spend a disproportionately large amount of your budget on otherwise common expenditures, such as groceries or gas, this card is a great option. The SimplyCash Preferred has a $99 annual fee but no minimum income requirement to qualify. The purchase interest rate is 19.99%, and you’ll pay 22.99% on cash advances and balance transfers. 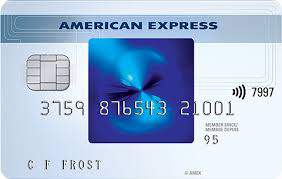 Right now, the SimplyCash Preferred Card from American Express is offering new cardholders 5% cash back on all purchases for their first six months (three months longer than most credit card welcome offers), up to a maximum of $300. This offer, combined with free supplementary cards and strong 2% flat-rate cash back on all purchases, makes this credit card a good option for high volume spenders. Like most premium credit cards, the SimplyCash Preferred Card from American Express provides you with extensive insurance coverage including travel emergency medical, flight delay, baggage loss, car rental collision loss/damage waiver, and travel accident insurance. Supplementary cards are also free so that the whole family can earn rewards. 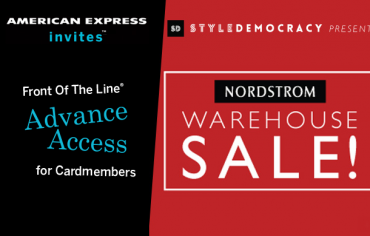 You’ll also have access American Express Invites, which unlocks front of line pre-sale and reserved tickets as well as access to exclusive theatre and show offers. It’s also worth noting that you have the option to change up your 2% money-back categories at anytime (changes will be reflected after one statement period). For all other purchases, you’ll earn 0.5% cash back. This credit card charges a flat interest rate of 19.95% on purchases, cash advances balance transfers, and you’ll need to earn at least $12,000 per year to qualify. There is no limit on the cash back rewards you can earn, and supplementary credit cards are free for additional cardholders. The Tangerine Money-Back Credit Card is popular because you can choose the categories that you spend the most in, making this card highly customizable from customer to customer. 2% cash back is also one of the richest rewards rates for a no fee credit card. Plus, your cash back will be applied to your credit card statements or deposited into your Tangerine Savings account on a rolling basis every month, so you won’t have to wait a whole year to reap the benefits of your savings. 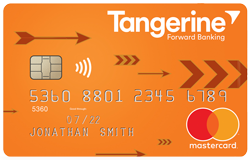 Tangerine has always been a no-frills online banking solution, so it should come as no surprise that their no-frills credit card has no perks. With that being said, the card offers a promotional rate of 1.95% on balance transfers to new cardholders for the first six months. 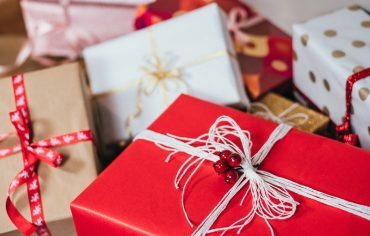 If you’re interested in a cash back credit card but you don’t want to pay an annual fee, the SimplyCash Card from American Express is a good option. With this credit card, you’ll earn 1.25% cash back on every purchase, with no limit on the amount of cash back you can earn. Supplementary credit cards are free, and the purchase interest rate is 19.99%. With no tiered returns based on spending categories, the SimplyCash Preferred is a straightforward card with a competitive overall return. Not to mention, for the first three months after you sign up for this credit card, you’ll earn 2.5% cash back on all purchases, up to a limit of $150. This card also offers an attractive balance transfer option: 1.99% on transferred balances for the first six months. If you want a cash back credit card but don’t want to pay an annual fee, this is a great starter credit card. Even though there is no annual fee, this credit card gives you access to some insurance coverage including travel accident insurance, zero liability, extended warranty, and purchase assurance. You’ll also have access American Express Invites, which unlocks front of line presale and reserved tickets and access to exclusive theatre and show offers. 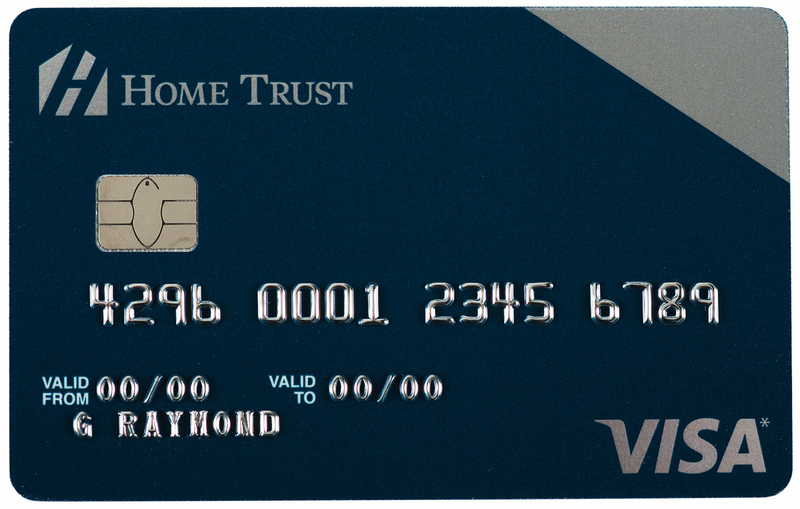 The Home Trust Preferred Visa is a no fee, 1% cash back card that ticks off one of the most important boxes for travellers: it has no foreign transaction fees. So, unlike almost every other Canadian credit card, the Home Trust Preferred Visa won’t tack on an additional 2.5% fee on purchases made outside the country or in a non-Canadian currency. 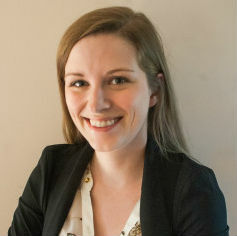 This card does not have a minimum income requirement, however, residents of Quebec cannot apply. This card’s 1% cash back rate combined with its no foreign transaction fees means cardholders can net a total savings of 3.5% on every purchase made outside the country. That’s one of the best returns for international spending for a Canadian credit card, which is all the more impressive considering it’s a no annual fee card. Plus, since it’s free to carry, the Home Trust Preferred Visa can act as a great secondary card to use just for when you’re travelling. Along with rental car insurance, this card comes with a free Roadside Assistance Membership (upwards of $100 value) that’ll provide car owners with everything from emergency tolling services, battery boosts, lost car key assistance, and more. As far as credit cards go, the Rogers World Elite MasterCard doesn’t exactly follow conventions. For one, it’s made for high-income earners who make at least $80,000 annually (or $150,000 as a household) despite the fact it’s a no annual fee credit card. It also offers a membership to airport lounges through MasterCard Airport Experiences even though it’s a cash back card and not a travel points card. It’s these unique benefits combined with its strong cash back earn rate of 4% on foreign purchases, 2% on Rogers products and 1.75% on everything else that makes the Rogers World Elite MasterCard one of the best cash back credit cards in Canada, particularly for travellers. The fact this card has a base cash back rate of 1.75% is one of its most appealing features, especially when considering that cards typically have a base rate of 1%. The ability to earn 2% cash back on Rogers products is also a great perk for anyone who pays for Rogers or Fido services such as internet or cable. In terms of travel, this card’s top feature is its 4% cash back rate on foreign purchases, which serves to offset the card’s foreign transaction fee for a net savings of 1.5% on every purchase made outside the country. It is worth noting, however, that full-fledged no foreign transaction fee credit cards (like the Home Trust Preferred Visa) do offer a higher return on purchases made abroad. The Rogers World Elite MasterCard comes with a full suite of travel perks including out of province emergency medical coverage and trip interruption coverage as well as access to over 850 airport lounges worldwide (a fee of $27USD applies per visit). 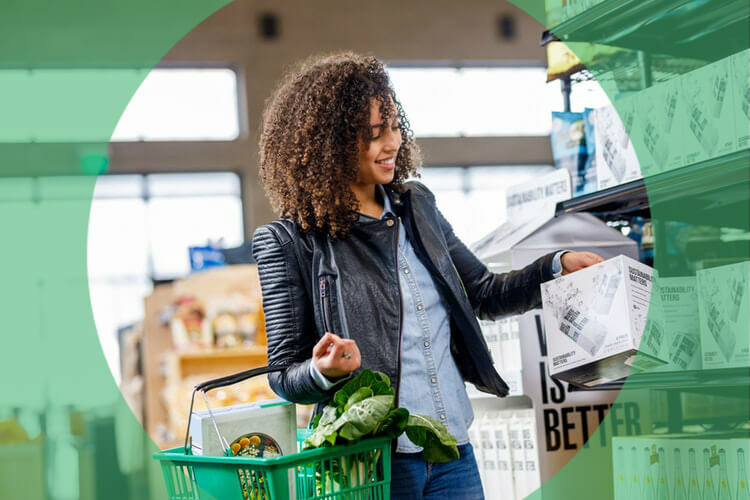 Gas, groceries and recurring bills (such as internet and cable) are among the largest expenses for the average Canadian household, and the TD Cash Back Visa Infinite Card has all three as its bonus categories. You’ll earn 6% cash on this trio of expenses for the first three months (up to $210) as a new cardholder, after which you’ll get 3%. For everything else, you’ll get back a flat 1%. This card does have a $120 annual fee, but it also provides additional perks on top of its cash back rewards including travel insurance benefits and free roadside assistance. While this card offers strong cash back on gas and groceries, what makes it unique is that it offers 3% on bills. That’s one of the highest earn rates for this spending category, which can include almost any payment that is automatically charged to your card every month including internet and phone bills. The accelerated cash back offer of 6% on bonus categories for the first 3 months is also a great feature as is the card’s roadside assistance coverage. Typically an annual value of $100, roadside assistance offers car owners with additional coverage including emergency tolling services, battery boosts, and more. As highlighted above, this card comes with roadside assistance, which is a huge benefit for car owners. Additionally, it offers emergency travel insurance, concierge services, and the ability to redeem cash back flexibly at anytime (provided you first earn a minimum $25 cash back). The BMO Cashback Mastercard is a no-fee cash back credit card that lets users earn 1% cash back on all purchases with no restrictions and no limits. You need to earn at least $15,000 per year to qualify for this credit card, and the purchase interest rate is 19.99%. 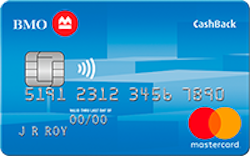 The BMO Cashback Mastercard doesn’t offer the highest cash back earning potential, but its welcome offer of 5% cash back on every purchase for the first three months is one of the strongest for a no fee credit card and means you should consider your upcoming spending habits carefully before passing it over. You’ll earn up to 25% off when you book a rental car at participating National Car Rental or Alamo Rent a Car locations with your BMO Cashback Mastercard. You’re also covered by an extended warranty and purchase protection. What is Open Banking And Why Does it Matter? 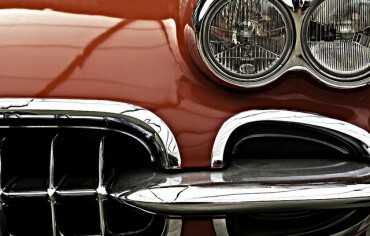 Does Temporary Car Insurance Exist in Ontario?